Scooter freestyle is an activity that is fun and energetic. This type of activity not only gives you excellent coordination and accomplishing neat tricks, but it also allows you to take in the sights and sounds that surround you. That feeling of skidding along the pavement in great speed is something that ordinary walking cannot provide. What more if you can advance towards neat freestyle scooter tricks? 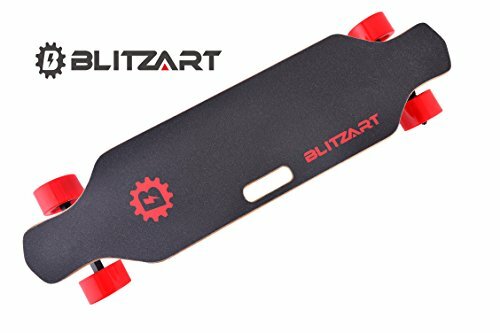 If you are serious about completing tricks, you need to get your hands on a good pro scooter brand. One of the companies to need to check out is Ethic. Ethic was started in France by the renowned Kevin Demay. The man has fortified his resume with designing and working with product lines for loads of reputable brands. In time, he decided to produce his own and thus Ethic DTC was born. Ethic is focused on designing and manufacturing high-quality products at a fair price. The brand is always evolving and at this time, is one of the most popular brands in the scooter industry. 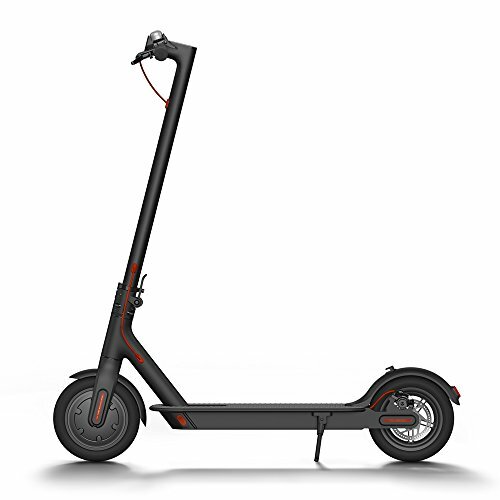 If you prioritize both form and function, make sure to check out the following Ethic scooters and see which among the models is right for you. The Pandemonium by Ethic took two years to finish, and all for a great reason—the company wants to unveil a new kind of deck, and this deck is far lighter, sturdier, great balance and has tons of flex compared to standard ones. Has weight of 2.6 lbs. Together with its lightweight quality, flex and excellent balance, the Pandemonium’s deck has a 4.75-inch width and a broader shape beneath. Thus it makes for a more stable scooter for curbs and rails. The model has enhanced construction and better heat treatment as well. The brand new brake advancements provided on the model are crafted from nylon then molded on steel. This allows for a more durable, quieter and more precise scooter. The model also comes with a built-in head tube. The new head tube makes mounting a headset more straightforward since all riders need to do is slide the whole thing into the cups. The model is also made from prime aluminum alloy 6061 T6 and comes with axles as well. Points to consider; if you need something that is professional team rider-level, this model might be the product for you. Completes are popular with lots of freestyle scooter riders. It comes with the features one needs to hit any location or accomplish neat tricks. There are complete models that fit the needs of either a beginner or a pro. This Ethic Artefact V2 Complete is something you might want to see in case you want a versatile scooter. Has weight of 7.4 lbs. One of the most lightweight scooters on the market today, the Artefact V2 is the scooter you need if you want to try out tricks and master them. The model has larger and broader wheels compared to its predecessor. This translates to a longer lifespan so this is the product go-to in case you are serious about teaching yourself complicated freestyle scooter techniques. The model also comes with a light compression in the form of the ICS. 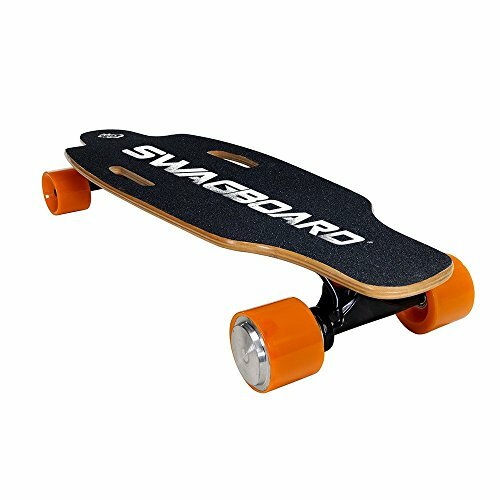 Its deck is a tad longer and broader to make riding all the more comfortable for users. This is a durable piece of work, and it can tolerate even the hardiest of impacts. The bars are lightweight as well yet are powerful enough care of its gussets, which provide maximum support. Points to consider; if you are on the lookout for a high-quality, lightweight yet sturdy model, the Artefact V2 will work for you. Keep in mind that its handlebar has a welded-in, preinstalled nut meant for the compression so you won’t be able to cut bar height down. Hand grips are a crucial part of the pro scooter, so it pays to invest on the best product out there. No worries since Ethic has some on hand for you. The Ethic Rubber Hand Grips have solid construction and will do the job of providing comfortable rides for its users. Hand grips are a nice way to personalize your scooter. Most importantly though, they provide a safer handhold. Q quality pair of scooter hand grips will stop hand fatigue by taking in shock coming from the front wheel. This pair of Ethic rubber hand grips provides freestyle scooters the style and safety it requires. The grips are built for scooter specifications. This is a no-flange model that has a length of 170 mm. These hand grips are typically sold as pairs and provide a soft, comfortable feel to boot. 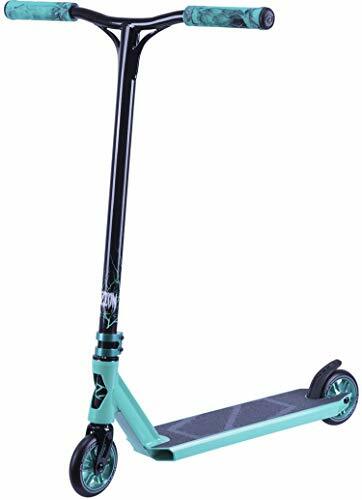 The product has excellent quality, durable and gives riders the comfort they are after to accommodate shocks caused by trying out tricks and steering down the street. They have a great length, and it gives decent grip, your hands will not slip off of the handlebar when nailing a complicated trick. Pegs for scooters are needed if you want to perform stunts. They can be seen on the wheel, and it can be positioned at the front or back of the scooter. There are pegs that include axel bolts that users can thread throughout the wheel, and this provides reinforcement as well. Some can be screwed on the external parts of the wheel. These pegs are built to endure pressure caused by riders trying out stunts. Ethic Scooters Steel Pegs suit the company’s Lindworm and Artefact decks. They are often sold as pairs, and it comes with spacers and axels. These pegs from the brand are also bigger compared to other similar products. The product was designed to endure both street and park style riding. It is made from 4130 chromoly steel, and they are significantly durable. The steel ones are more preferred by a lot of riders because it promises durability that aluminum ones cannot provide. Points to consider; while Ethics steel pegs were built to conform and work with Ethic decks, it can also be used with other branded decks. However, you need to inspect the width of the deck and fork first to confirm that the axles supplied will fit in an appropriate manner. Majority of beginner scooter wheels come with plastic or metal cores that have urethane treads while the more high-end ones have metal core wheels. Speed demons prefer 110 mm wheels like this pair of Ethic Scooters Mogway because it gives them a swifter yet more comfortable ride. These Mogway wheels are typically sold as a pair. They are made from dual-compound polyurethane plus 6061 aluminum and are believed to be the fasted scooter wheels in the industry. It has a contemporary spoked core design which reduces weight. The company is often known for the quality of the scooter wheels they make and are preferred by riders who want additional speed for their ride. The wheels have an aluminum core which gives the wheels its strength. It has been evaluated for a time to guarantee that the wheels will provide riders the quality they deserve. 110 mm wheels are a good choice for both beginners and pros because the fast speed the wheels provide is just enough for both skill levels to take in. Another reason why wheels like this are preferred because of the metal core. Metalcore models are capable of holding better compared to the plastic ones. Freestyle scootering involves lots of force, so the scooter has to be extra durable. You need a pair of wheels that can stick excellently and give enough speed. Points to consider; this is the pair of wheels for freestyle scooter riders who want to double up speed. However, if you want more maneuverability, you should go for smaller wheels. Scooter enthusiasts who want to try out tricks must graduate from “kiddie” models to pro scooters. However, if you are new to the whole thing, choosing a quality product can be confusing due to the myriad of models being sold in the market right now. 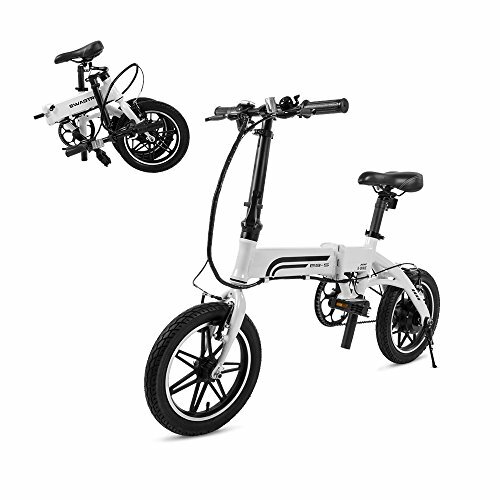 When selecting a proper scooter, you can either buy the complete kit—which is a scooter that comes with all the parts assembled by the manufacturer—or you can choose to have a customized model with specs that fit your preferences. Here are the other essentials you need to know first before purchasing a new scooter. Entry-level models are generally affordable. It comes with smaller bars and decks plus its core is either made of metal or plastic material. It also comes with threaded forks and non-integrated headsets. 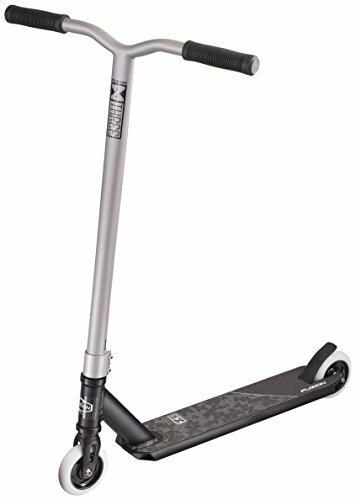 A quality entry-level pro scooter does not fold or adjust in height and durable enough to bear the brunt of jumps and other high-energy tricks. Intermediate-level models come with a broader deck, integrated headsets, taller bars and 110 mm metal wheels. Complete models’ prices often begin at $200 or more. For bigger riders, models that come with larger wheels and sturdy decks will accommodate their needs. Models for this range usually cost more than $200. The specifications that come with advanced models only focus on the needs of the experienced rider. Do you often ride in your home’s driveway? Down the street near home? Do you use the scooter to commute from school or work? Your riding style will have an impact on your buying decision. There are models designed for park use while there are some who are focused mainly on street level riding. However complete scooters often accommodate both locations. We have mentioned the price estimates of scooters for every skill level, so there is indeed a variety. The variety in prices is attributed to the features and built of the product. The beginner-level models are the most affordable however if you are on a budget, there are always models out there that will accommodate your skill level and riding style that won’t dent your wallet. 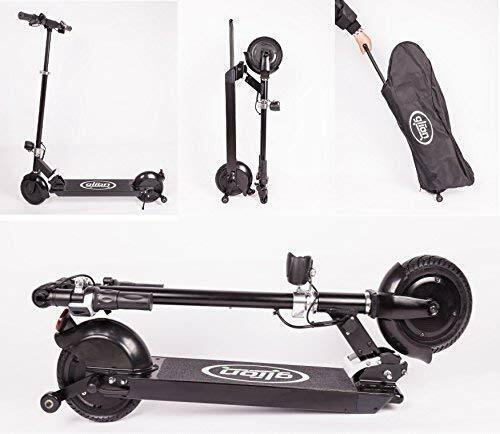 Ethic is known for high end scooter products. Although they come with some lofty price tags most will agree they are satisfied with the product. There are lots to consider when it comes to choosing a pro scooter. But with the presence of reputable brands like Ethic, choosing a quality model is made easier. The brand has one of the best in its range. Other than scooters, the company also makes a good selection of exceptional components for your ride. The company has a wide range of products that can cater to every riding style, skill level or budget. If you have any problems deciding on a model, guides like this will help you a lot. In this article, we have discussed a good selection of products from the company. We have included the vital stats about each product and the things you need to consider about them. Whatever model you choose though, make sure that you shower it with the proper care and maintenance it needs. To make your ride last longer, make sure to check it for loose and worn parts now and then, regularly if you tend to use it frequently. You also need to lubricate the bearings every so often so your scooter will always be in tiptop shape and will perform efficiently at all times. We hope this helpful guide on Ethics scooters has helped you a lot with their products.